Jonathan Frakes is an American actor, author and director. Frakes is best known for his portrayal of Commander William T. Riker in the television series Star Trek: The Next Generation and subsequent films. Frakes also hosted the television series Beyond Belief: Fact or Fiction, challenging viewers to discern his stories of fact-based phenomena and fabricated tales. In June 2011, Frakes narrated the History Channel documentary Lee and Grant. He was also the voice actor of David Xanatos in the Disney television series Gargoyles. 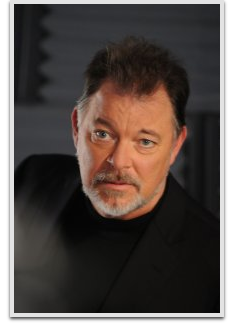 Frakes directed and also starred in Star Trek: First Contact as well as Star Trek: Insurrection.